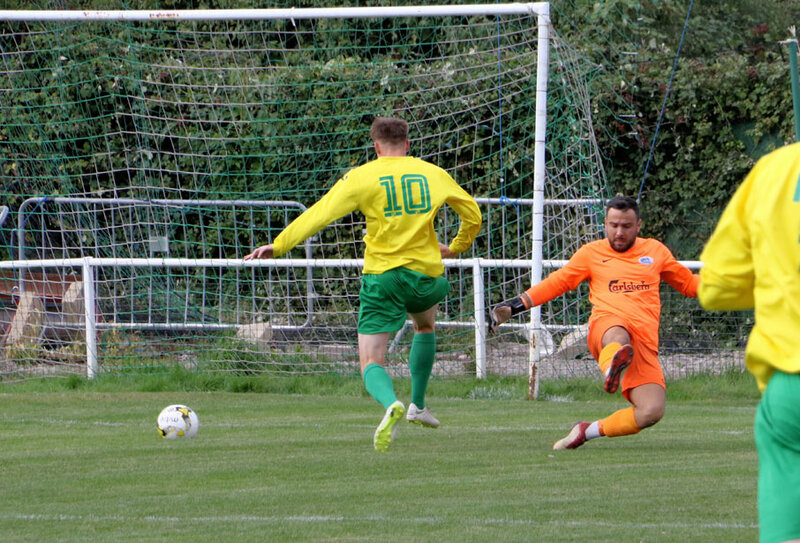 Two lapses of concentration, one in each half were to condemn a furious Jets team to defeat at home to Tring Athletic. 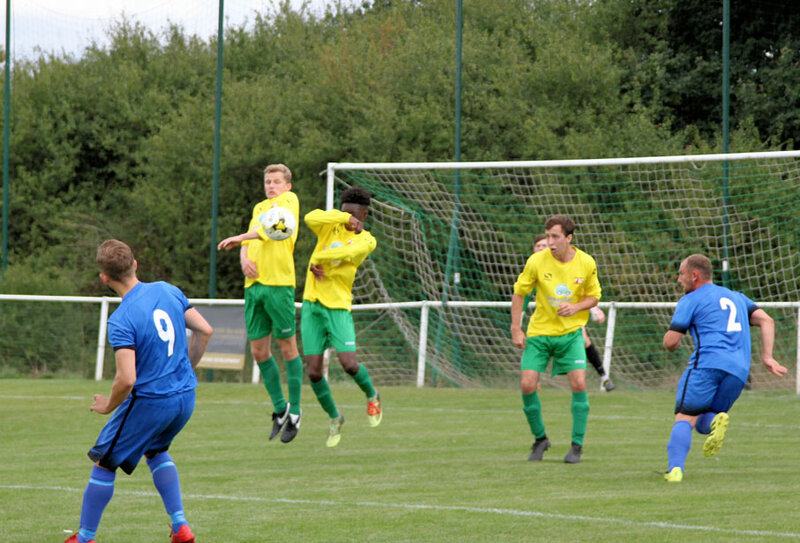 The first lapse, a schoolboy pressureless error in the first half by the Jets defence, the second an inexcusable minute by the match officials in the second half that effectively settled the match. Jets, lacking in their last two games, were asked the question by boss O’Sullivan about their commitment to the shirt and demanding those who wish to keep their shirt to earn it! The team responded, and it was an even battle, although the repetitive peep of the whistle did become irritating to both sides. Jets fell behind in a total lapse in concentration when a defender under no pressure sold his keeper short with a dreadful back pass. The visitors no10 Kieran Turner gratefully nipped in giving the keeper no chance and tapped sideways before chasing down and tapping into the empty net. The rest of the half was even and competitive, Tring having some good play as did Jets, but the home side did not threaten much with set pieces short and the continuous offside ruining most moves. Jets best chance being a double handled free kick that apparently must have been missed by the officials somehow !! Constructive but blunt was the name of the game then back to the battle. Tring worked very hard, and it was a good game. 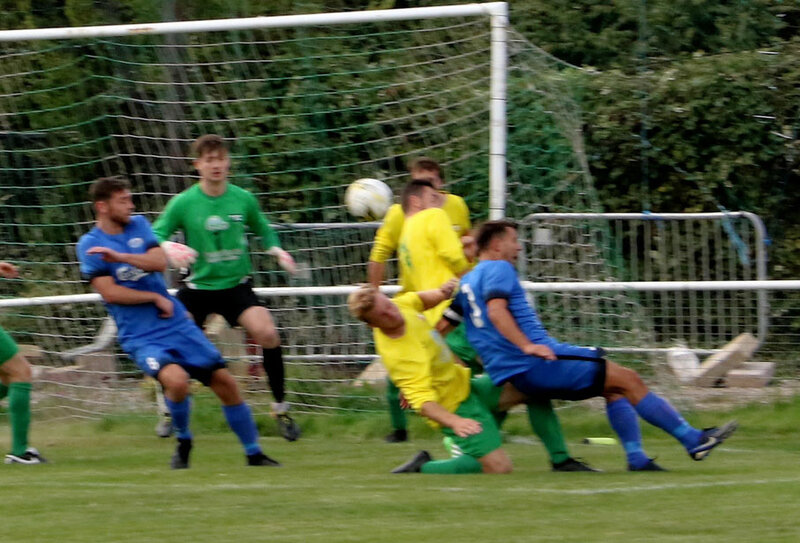 You can see why Tring are flying high at the moment and it’s equally evident why Jets are on a mini-slump after the excellent start to the season. Tim O’Sullivan won’t tolerate this drop-off, and today Jets came back out fighting and for much of the second half looked as though they’d get something they deserved from the match. Excellent penalty save from Matty Evans. 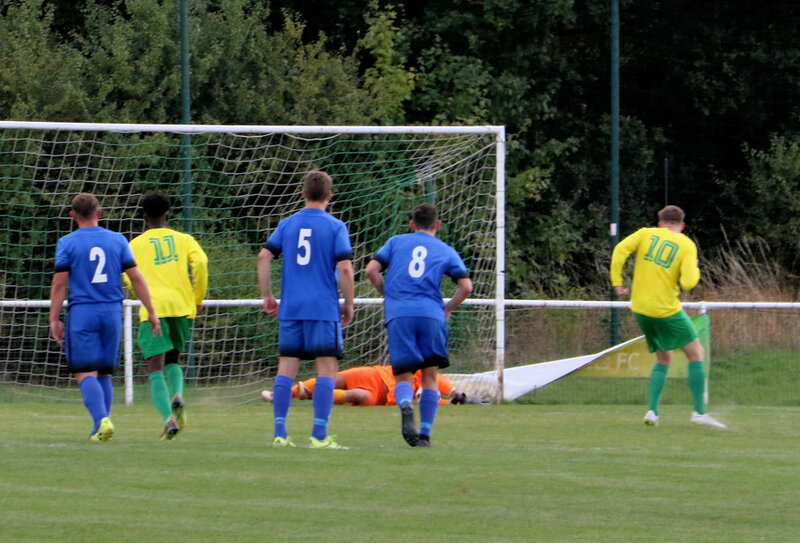 The chances were there for both teams, and Matty Evens kept Jets battle alive with an excellent penalty save at the post. Then the second half’s inexcusable lapse of concentration. Not by the players but by the match officials as three or four decisions in seconds were to work against Jets and effectively condemn them to defeat. Tom Gibson was taken down from behind (no penalty given) but as contact made he got the cross in so maybe just maybe an attempt by the official of an advantage scramble goal. Well to all around except the officials, with the Jets players going in the air to celebrate I can only think the referee looked for help at the assistant, as well placed as a parking cone on the M1. 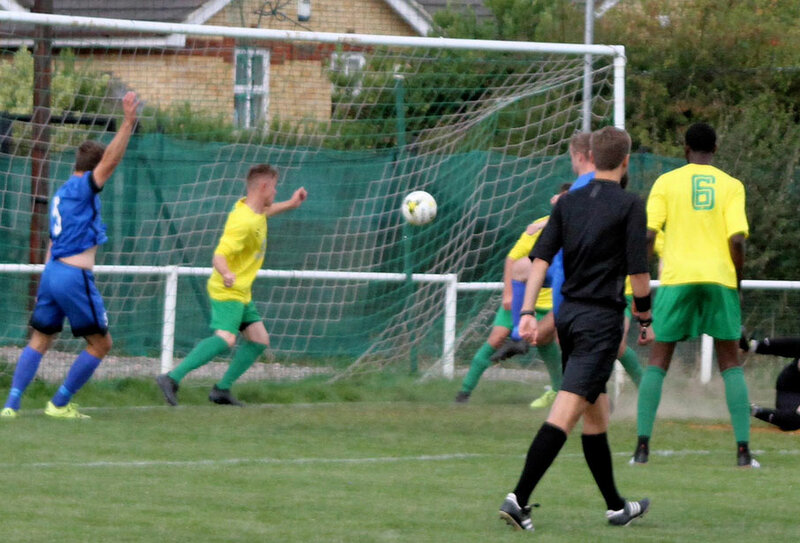 Meanwhile, the Tring no2 scooped the ball back out, not seen by the officials as they made eyes at each other still wondering if over the line. Then a hands appeal which left the official bemused before being cleared!! 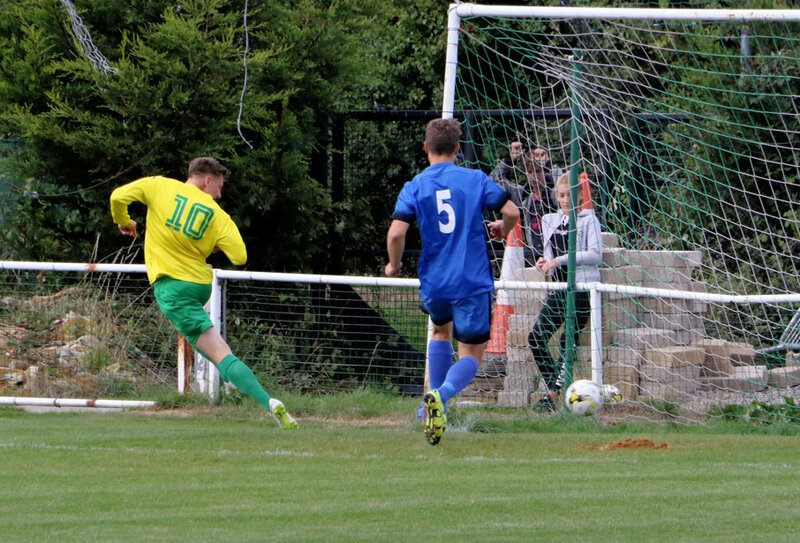 Scott Bonner celebrates as it looks over the line. Handball even if it wasn’t over the line, but NOTHING given! Chaos and no one can say stay calm and say nothing after this in any game. We expect better, and it was decisive, not deliberate, not intentional BUT crucial to the result because instead of 1-1 and tails up it was seconds from 0-2 and all over. 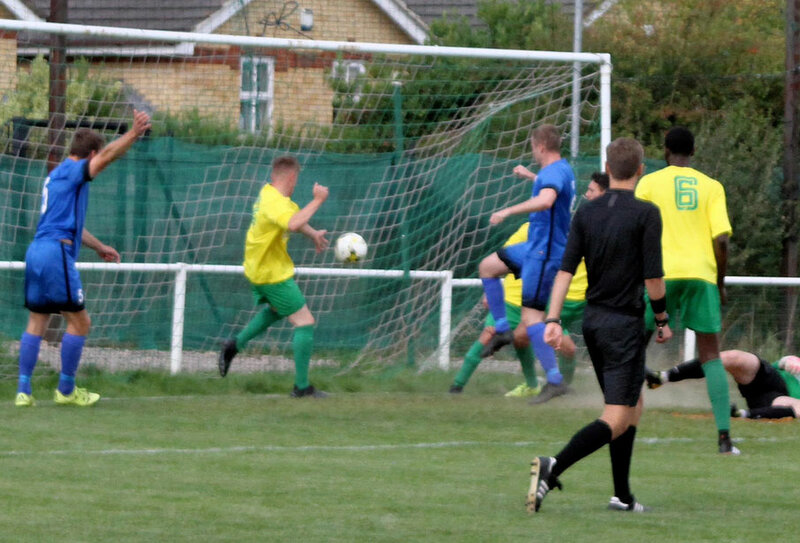 Jets lost possession, and the visitors hit the long high clearance, and Scott Bonner who had been solid all match headed clear but unfortunately straight to an unmarked Tring player who broke, crossed and with Jets caught upfield Vardy notched the killer goal. It was harsh on Jets, but some consolation was the vast improvement on last week by many of the squad, it’s work in progress and not the finished article, and there will be peaks and dips. 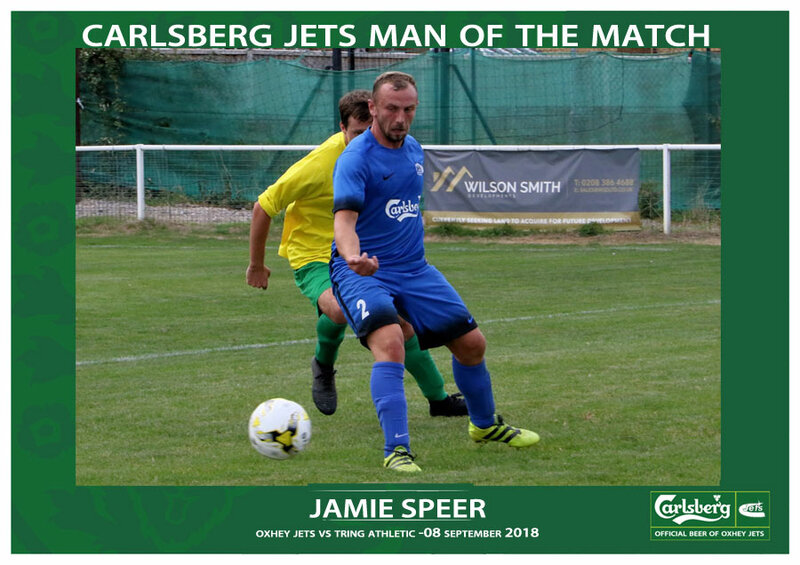 Jets man of the match was uncontested and easily Jamie Speer. Words and opinions were “politely shared” after some accepting views and some, of course, can’t accept clubs opinions, but that’s football, and realistically nothing can be done about it, we don’t have VAR or goal-line technology we can only hope for better luck and decisions next time out. The Reserves have started the season ON FIRE! Eight last week, six in a midweek friendly then another five today in the Aubrey Cup at Aldenham winning 2-5 ( at sun sports ground). It was another hat-trick for Tom Kaill, while Jordan Gutteridge and Chad Flaherty scored one apiece to complete the scoring for Jets. The Vets started their season coming from a goal down to win at home to Chipperfield reserves 2-1 with goals from Liam Arnold and the all time Jets leading scoring legend Gary Page.